The Provost shares responsibility with the President, the Chancellor, and the academic Deans for the supervision of the educational and research programs of MIT. The Provost is the chief academic officer of the Institute with responsibility for budgeting and planning of these programs. The Provost, working with the Executive Vice President and the Vice President for Finance, also has responsibility for coordinating the budgeting and capital planning of the Institute. 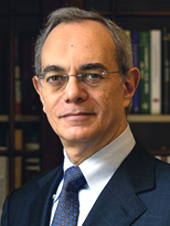 The academic offices within the Institute that report directly to the Provost include the Deans of the Schools, the Vice President for Research in the context of his responsibility for oversight of the interdisciplinary centers, laboratories, and programs, including the MIT-Harvard Division of Health Science and Technology, and the Director of the MIT Libraries. The Provost also coordinates certain educational activities that do not fall under the jurisdiction of any one school, such as interdepartmental collaboration among faculty from different schools.